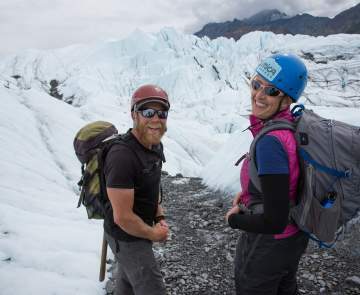 The Mat-Su Valley, Alaska is a HUGE playground, which kids think is a pretty cool place to explore. Where else can they meet a dog sled team, climb on a glacier, see bear and moose, fish for king salmon, pan for gold and see America&apos;s tallest mountain? 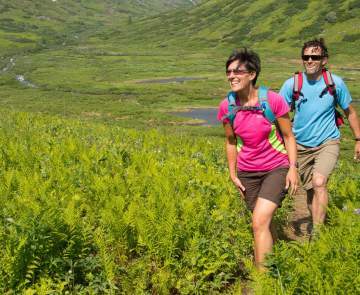 Here are just a few ideas for fun family Alaska vacation adventures. Take a flightseeing tour and land on Denali! Watch for Alaska wildlife - its everywhere! So many books have been written on Alaska, it usually warrants its own section. Whether your interests include Alaska flora and fauna, birding or wildlife, geological or natural history, Alaska pioneers or the Alaska gold rush era, local Alaskans provide thorough knowledge and fascinating stories in a variety of means. Most recreational activities like fishing, rafting, kayaking and dog mushing are owned and operated by local residents. These are our experts. At museums and local roadhouses, living pioneers tell of first-hand experiences of life in the Last Frontier. Annual events and special festivals celebrate the heritage of each small community. There will be no test at the end of this vacation, just great memories.